Click the button below to add the Mike's Country Rub to your wish list. Buy the best Dry Rubs online! 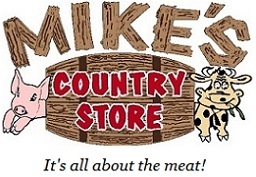 Mikes Country Store is proud to offer Mikes Country Rub! Mikes Country Rub enhances the flavor of your beef, pork, or chicken without hiding the natural meat flavor. Mikes Country Rub is a special combination of dry spices. The ingredients include: salt, dehydrated onion & garlic, spices, paprika, sugar, and less than 2% sodium alum inosilicate to prevent caking. Have your order delivered online through Mikes-Country-Store.com with a 100% Guaranteed Quality. If you are not completely satisfied, we will give you a refund. Place your order today at Mikes Country Store online, Risk-Free! We sell steak sauces, glazes, and hot sauces too! We also sell fresh, smoked, and pre-cooked meats online. Whether it is Beef, Pork, or Chicken you are looking for, we sell beautiful USDA inspected meats that are sure to impress your guests.